Hybrid solar systems are used in a number of situations to provide backup power or reduce maximum demand. We can program your unit to meet any number of situations. A hybrid system works by using solar PV power during the day – with excess power used to charge your batteries for later use at night. The major design considerations are your peak power usage ie the most power you will use at any one point in time and the amount of power in kWhr that you expect to use during non-solar producing hours. 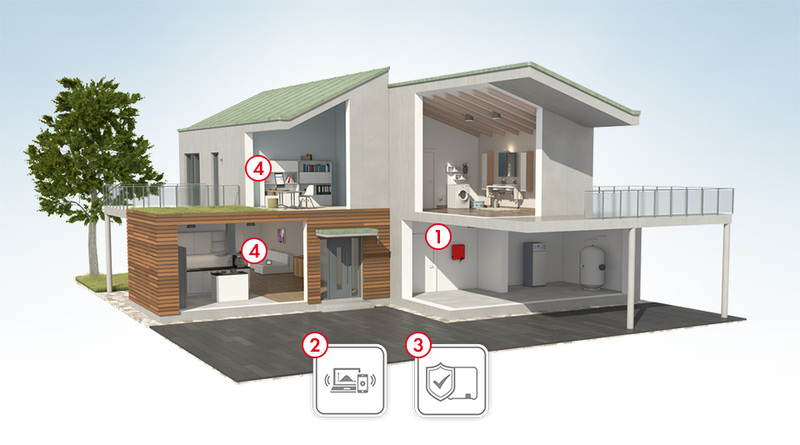 From point of contact, Ecoelectric will help guide you towards the correct type of system by carrying out a detailed design and estimation process. Our engineering and modelling systems will correctly select the right product combinations and provide detailed electrical and financial modelling. 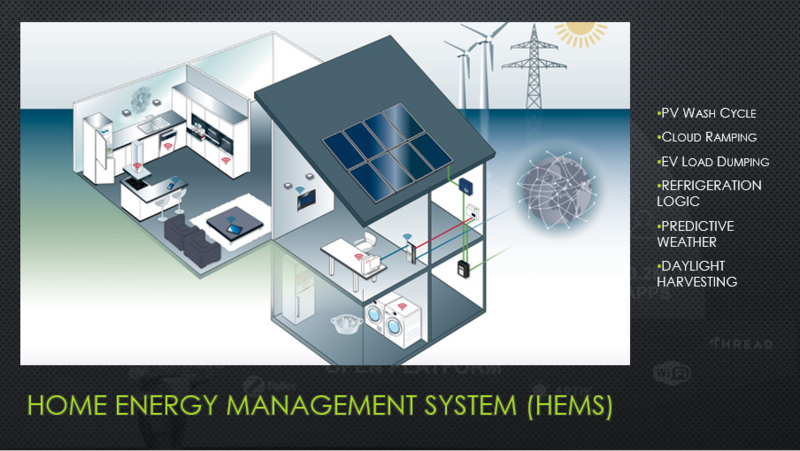 We will ensure that your hybrid solar system has sufficient autonomy and headroom so as to meet your power needs. The hybrid solar unit is an additional inverter which takes your solar PV, mains, batteries and optional generator – combines and stabilises it all into one. If the weather is black for days on end the system simply switches back to mains power when required, thereby ensuring consistent power and zero damage to your batteries. All of our estimations and statistics are on the conservative end of the scale thereby ensuring maximum life for your batteries (10+ years in most cases). We recommend installing a kW of solar PV for every kWhr you want to store. This rule of thumb can vary depending on your specific situation, so it is important that you go through a detailed design process. When looking at hybrid it is important to maximise PV production and reduce battery use. This can be achieved by load shifting items such as electric hot water systems and swimming pools onto daytime usage. Thanks to many years of automation experience, Ecoelectric can program your hybrid inverter to dumps excess power into these items. Further reductions may be achieved by recommending appliance changes such as LED lighting and other high-efficiency products. All of our advice is accompanied by detailed financial modelling showing items such as return on investment and payback periods. Many of our hybrid solar systems come with LifPo batteries the very latest in lithium-ion technology and are designed for a DoD (Depth of Discharge) of up to 70% thereby ensuring that you get some 6000 or more cycles out of your system. This is equivalent to 15 years of operation. LifPo batteries hold their charge for longer, will take more discharge cycles, respond better to temperature and are generally considered the very best of technology for use in hybrid or off-grid systems. 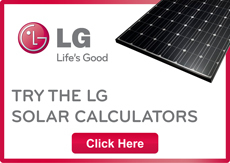 Ecoelectric recommends LG Chem or BYD batteries for use in both hybrid and or off-grid battery systems. Amongst our solar hybrid range, there are also hybrid without backup possibilities. These systems are designed to store excess solar energy for later use at night thereby ensuring full benefit of solar production. They are ideal for people on ToU tariffs, or for business’ facing peak demand charges. Hybrid solar is quickly becoming cheaper than using mains electricity with output costs now working there way under standard retail tariffs. Even with finance terms hybrid delivers savings and returns far greater than your average investment. There is the added bonus of knowing that your electricity is coming from a stable and clean source and that it will keep powering on in the event of a blackout. 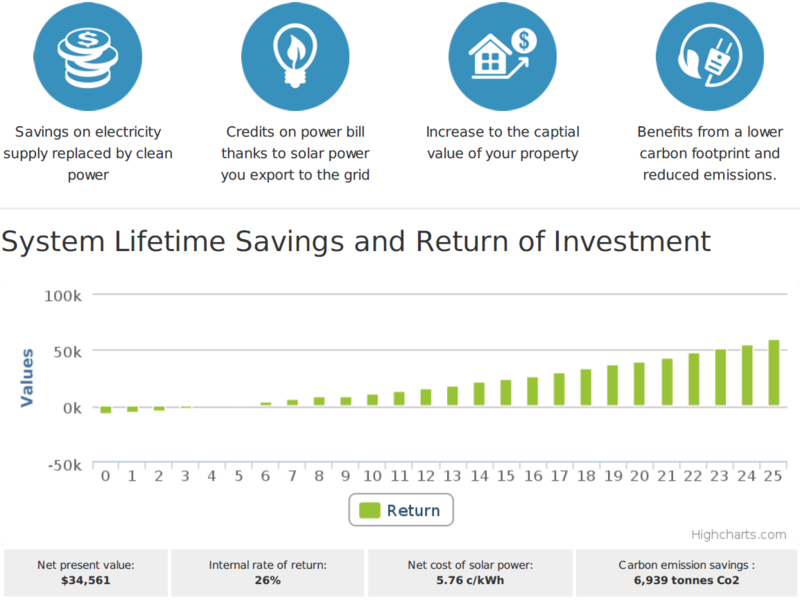 Take a look at this finance modelling to see how hybrid solar can work for you. The latest design methodologies emphasise more panels and fewer batteries. This greatly reduces system costs and can still allow for full autonomy if the system is sized and designed correctly. In most cases, the PV component is sized around the minimum winter average with batteries sized for 1-2 days of autonomy thereby ensuring that there will be enough power on hand for all but the darkest of days. All systems come with the option of generator backup and can be easily upgraded both in terms of panels and batteries. A hybrid battery system is a serious investment and should be backed only by proven products with long-standing warranty records. Ecoelectric can detail the warranty and service conditions for each part of the service and provide a full 5-year warranty on top. Most of our suppliers offer a 5 to 10-year warranty as standard and have the service history to prove its worth. We can outline any maintenance requirements which may occur over a ten to twenty year period and illustrate how these items will affect the whole of system cost. For business customers, we can provide NVP and life cycle projections with bankable warranties to ensure the system is commercially viable. Take a look at our full hybrid range or request a free design and written estimate. Do you know someone that needs to purchase solar? We will give you a $150 referral bonus upon installation! Follow Admin's board Hybrid Solar on Pinterest.